Something happened to Britain in the past fifty years or so. We were famous for not making a fuss no matter what happened and we were famous for not showing emotion. When Lord Uxbridge had his leg shot off at Waterloo, he is said to have remarked casually to the Duke of Wellington that it seemed he had lost his leg. The Duke equally casually agreed with him. Both were unruffled, neither showed much emotion. It doesn’t matter if this story is true, because it used to express something about the British character that was true. Until relatively recently in history death was all around us. There was a fairly high chance that a woman would die in childbirth. If she did not die, a high proportion of her children would either in infancy or from a one of the childhood diseases that still had not been cured. There were also many killer diseases that could strike at any time in adulthood. Many illnesses that can be easily cured today were simply a death sentence even fifty or sixty years ago. British civilians and soldiers alike risked death in the two World Wars on a scale that few can even comprehend today. Most of them did so willingly and if asked how they were doing would say something like “mustn’t grumble”. We have access to this attitude in some of the films of the period. 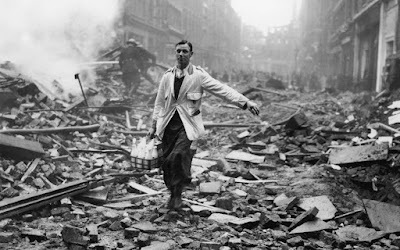 British heroes are depicted as downplaying any heroism. Death is taken in its stride and the only sign of emotion is a slight change in voice and just a hint of an alternation of expression. Grief was felt, but not in public. It seems like another world now, this Britain with its impossibly posh accents. But if you watch Celia Johnson in This Happy Breed (1944) you see how people used to be. It may seem callous. A mother informed of a death chokes up for a second and then thanks the person who took the trouble to tell her. She goes on as before and maybe offers to make some tea. Whatever she is feeling is barely shown. We can only guess at the depth. But this was the British character. It was this that meant that we kept going when times were tough. Unfortunately it is something that many of us lost somewhere, or perhaps never even had. There have been rather a lot of terrible events recently. We have had terrorist attacks and now a horrible fire that has killed people in a cruel and unexpected way. Who thinks that such a thing is possible when they go to their bed? But some perspective is necessary. We have done much to make the world safer. One hundred years ago the world of work was much more dangerous than it is today. Our homes too were much more likely to kill us. We risked illness from unrefrigerated food. Quality control did not exist and health and safety was unknown. Life expectancy was massively lower than today. There have always been disasters. No doubt there always will be. Ships sink, planes crash, cars have accidents. We work hard to minimise risk, but we cannot eliminate it. Unfortunately mistakes are made. It is human to make mistakes. Which of us does not make many of them every day? Whenever something bad happens today there are two reactions, something must be done and someone must be blamed. The “something must be done” mentality usually leads to something being done quickly and without much thought. Often it therefore does not help, sometimes it makes the situation worse. The “someone must be blamed” mentality frequently leads to injustice. Who is to blame for the fire in Grenfell Tower? We don’t really know yet. There will be an inquiry which may or may not find out. It may turn out that a faulty fridge caused the fire. If the person had replaced this fridge or perhaps not bought it in the first place, then there would not have been a fire. Should this person be blamed? Perhaps he knew that the fridge was a risk and failed to replace it. Should he be punished for negligence? But which of us has never had out of date or faulty electrical equipment? It looks as if it was a terrible mistake to renovate the tower with material that helped the fire to spread. Should we blame the firm responsible for the renovation? Did they know that it would lead to a fire? Did they intend that their work would kill people? This really is the crucial issue in morality. Blame after all is fundamentally a moral issue. In general I want to be blamed for things that I intended to do. I think it is unjust to be blamed for something that I neither wanted nor could foresee would happen. But this is not how the law sees it. But then law often has little to do with morality and less to do with truth. It is for this reason that it is a subject that is not worth studying. Recently a lorry was poorly maintained and crashed. Two men were convicted of manslaughter. They were nowhere near the crash when it happened, but were convicted none the less and jailed for a long time. They were responsible for maintaining the vehicle which killed people and it is for this reason they have been punished. But did they intend to kill anyone? No. Could they foresee that their actions would lead to these particular deaths? No. If their lorry had not crashed, would they have been blamed for their negligence? No. Would they have been punished? No. There are, no doubt, many firms that poorly maintain their vehicles. Most of them get away with it. If they are caught with a faulty vehicle, the punishment will be minimal. But if that faulty vehicle kills someone, they will go to jail for a long time. It is purely a matter of luck. The intent was the same. Luck, by the way, is not a moral quality. A few years ago someone stayed up all night and then drove home. He crashed his car and the car ended up on a railway line. This caused an accident and many people were killed. Once more the driver was sent to prison. But if he had stayed up all night, crashed his car onto the track and there had not been a train coming, he would have been barely punished at all. Which of us has never driven when tired? Which of us has never even for a second done something dangerous while driving? Well we have just been lucky. It would be more just to punish the intent rather than the result. The person who drives while talking on a mobile should be punished the same as someone who drives while talking on a mobile and who kills someone. The intent and the negligence is the same. The punishment should be the same? No-one intended to cause a fire in Grenfell Tower, though it may turn out that some people were negligent. But if dangerous materials were used in Grenfell Tower by one firm, they were, no doubt, used in other towers around the country. To punish one firm more for their actions because people died is unjust for their actions were the same as those of another firm that killed no-one. By all means punish negligence, but don’t punish more for something no-one could foresee and no-one wanted. Punish the intent, because I am only responsible for what I intended, not for what I did not intend. Unfortunately however, we live in a society that always wants to blame. Sometimes this attempt to blame reaches absurd levels. Until a few days ago neither Theresa May nor Jeremy Corbyn had heard of Grenfell Tower. Neither of them knew anything about how buildings like this one have been renovated recently. Yet somehow it has been turned into a political issue. It may turn out that corners were cut and the people responsible for either building or renovating Grenfell Tower tried to save money. Sorry folks, but we live in a world where we have to try to save money. The reason for this is long-term. We spend more than we earn. I wish we didn’t but we do. This is the fault of both main political parties who have been in government. We have an excess of demand on housing in Britain especially in London. The reason we have this demand is that a lot of people want to live in London. There are jobs there. London draws people from everywhere. The resulting pressure on accommodation has been caused by the policies of both political parties in the past decades. If there were not this pressure, it might have been possible to tear down dangerous tower blocks decades ago, but in the present circumstances this is not possible. We have a duty to house everybody and must make do with the housing available. I wish that this were not so, but demand on housing especially in London is outstripping supply and has been for decades. So if we are looking for the causes of this fire we could find them just as much in the fact that our country has been living beyond its means and has struggled to house everyone who wants to come here as in the fact that this particular building was poorly maintained and renovated. This shows the folly of trying to turn tragedy into a political issue. Those on the Right, just as much as the Left, could try to take political advantage of this fire. But it is seriously lacking in taste to do so. Every government and every council has to be make choices about how to spend their money. If you spend too much on one thing you don’t have enough for something else. But spending money won’t necessarily save you from disaster. Unfortunately we have to learn from experience. We have made progress in safety only because we have learned from mistakes and turned catastrophes into lessons. 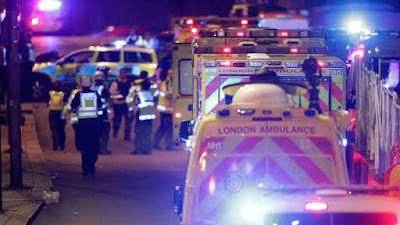 Those who have lost their lives and their friends and families have the country’s sympathy. But if the Far Left try to hijack that sympathy they may rapidly find that it diminishes. Neither Theresa May nor her Government are in any way to blame for this fire. People are upset and angry, but this is not the British way to deal with disaster. Shouting at the Queen and asking her what she is going to do is ludicrous. Chasing Theresa May in a threatening way is unjustified and not how British people respond to affliction. Theresa May is focussing on practical ways to help. She may not be wailing and gnashing her teeth, nor ripping her clothes to shreds. But this is because she is British and from a generation that did not do these things. Until recently all of us were like this. Now unfortunately we are few. It would be much better if there were rather less emotion instead of rather more. Let us accept that disaster will always periodically happen. There is nothing we can do about this. It is futile to look for blame for these deaths. These people were in the wrong place at the wrong time, just as much as some people were beneath a bomb in 1940 while others were not. When emotions are less raw we will be able to look calmly at what can be done to make our housing safer, but do not think that we can live in a world that is risk free. We have greater life expectancy than anyone in history. We are less likely to die because of war, disease or accident. But someone right now is making a mistake, because he is human, and that mistake may kill someone. I might make that mistake, you may make it too. In the aftermath of an election emotions are high, levels of spin even higher and judgement barely there at all. Politics in Britain has become uncertain. This is the third election in a row in which we have woken up to a surprise and not only one surprise but sometimes a multiple of surprises. There is a lot of noise. Everyone is trying to manoeuvre. Contradictory views are leaked to the press. Journalists are briefed behind the scenes and then when they write up the story, it is denied sometimes profanely. But no doubt the purpose is achieved by both the story and the denial. The Prime Minister receives messages of support that are not always sincere and may well be as dangerous as being called a “Dead woman walking”. In fact the support may well be far more dangerous because, after all, George Osborne resigned his seat a few weeks ago and so is as much a figure of the past as David Cameron or indeed Harold MacMillan. Perhaps it is for this reason that he is being so nasty, or else maybe it is just because he is nasty. I always imagined poor George with a waxed moustache about to tie some lady to the railway tracks. He rather revelled in his nastiness just a touch too much. But for all her faults, the lady he wants to run over with a train actually became leader, won 42% of the vote and could still achieve what she set out to do, which is rather more than being editor of the London Evening Standard. Theresa May has been battered, but it is perfectly possible that she will be Prime Minister for the next four or five years and successfully get Britain out of the EU with a good deal. If she does that, she will have won two crucial battles decisively and will be closer to touching greatness than any Prime Minister since Thatcher. Two years ago the SNP won 56 of the 59 Scottish seats and 50% of the vote. It was the share of the vote that was most worrying. I can live with the SNP winning all the seats. So long as either Labour or the Conservatives win a majority at Westminster it matters little how many seats the SNP win. You can’t form a Government with 59 seats. But 50% of the vote turns an independence referendum into a coin toss. We know how the SNP play on the emotions of ordinary Scots, how they play the nationalist/patriotic card and exploit our sense of weakness as the perpetual victim of the wicked English. With 50% of the vote and another long independence campaign to look forward to in the next two or three years Nicola Sturgeon must have thought she was almost there. For any battle however it is necessary to have a strategy. The SNP developed theirs and it must have seemed certain to succeed. Sturgeon needed a reason to call for a second independence referendum and then she needed the support to force it through. The reason as always was a grievance. England would do something wicked, while Scotland would do something virtuous. Saint Nicola would then come to rescue Scotland from England’s clutches. I don’t think anyone really expected the UK to vote to leave the EU last summer, just as hardly anyone expected Jeremy Corbyn to win 40% of the vote and nearly become Prime Minister. Perhaps he will do it yet. But what sort of odds would you have got on this happening two years ago? Sturgeon though had developed a strategy to take advantage of the unexpected. She made it clear that she would consider a vote to leave the EU as justifying a second independence referendum. Scotland voted to Remain while England and Wales voted to Leave. I’ll always wonder how many of the SNP supporters who voted Leave actually wanted to ditch the EU. I’m sure some of them thought that being a member of the EU was incompatible with true independence. Why give up being ruled by London only to end up being ruled by Brussels or indeed Berlin? But I’m sure many Scottish nationalists who voted Leave did so because they thought it would lead to indyref2. This after all was the strategy. I remember how Sturgeon was all over the television as we learned that the UK had voted for Brexit. The BBC couldn’t get enough of her threats. Quite a lot of Scots were angry. Some “Pro UK” people who were also disappointed Remainers began to express sympathy with the Scottish nationalists. The Sturgeon strategy looked to be working. In battle however there are strategies that appear to be succeeding just as they bring an army more and more deeply into a position from which it can be defeated. An attack on the centre can seem so close to breakthrough that it causes a general to ignore his flanks. From these flanks his position can be enveloped leading to disaster. This is what has just happened in Scotland. Do you remember how cocky Sturgeon was? She demanded, she ranted, she threatened. Soon, soon she would have her breakthrough and independence was already in sight. But Theresa May stood firm and then Sturgeon’s position was attacked from both the Left and from the Right. The wonderful thing is that the Scottish Nationalists are not even aware of the scale of their defeat. Their leader continues on the same path. She is oblivious, insulated from a changed world none of her subordinates dare tell her about. All the while support for indyref2 goes into free fall, just as Sturgeon arranges supply drops for her troops trapped in the pocket. But the moment has already have passed. She has suffered a strategic defeat and the defeat has been because of her own strategy. No amount of self-deception changes the situation. On the contrary it makes it worse. The key to politics and political understanding is to grasp the long term, rather than the short term. Corbyn or someone similar to him may well become Prime Minister in the next few years. But it won’t matter. We already know that his ideas won’t succeed. The room for manoeuvre that any Prime Minister has is determined by the fundamental state of the markets. Mr Corbyn’s plans depend on his ability to borrow at a reasonable interest rate. So either his plans will have to be modified in order to give confidence to the bond market, or they will lead to an economic crisis. Socialism doesn’t work. This is the fundamental. We may have to attempt the experiment again so that the young learn this lesson, but then we’ll just go back to the usual pattern of Labour breaking the economy and the Conservatives fixing it. Likewise in the long run Scottish independence depends on the UK remaining in the EU. Sturgeon was right that there would be anger if Scotland didn’t get its way. But this is the anger of a toddler and equally short term. Long term her independence strategy was holed below the water line by Brexit. Failure to realise this unfortunately is a defining feature of Scottish politics from all sides. The leaders of all the Pro UK Scottish parties oppose Brexit, apparently blissfully unaware that it is precisely the vote to Leave the EU that changed everything since 2015. What else fundamentally made voters switch from the SNP? Because of the near unanimous support for Remain amongst Scottish politicians and journalists, Sturgeon was unable to see the fundamentals. She kept on attacking straight ahead. Every other day there was a new threat. The only word she seemed to utter was “independence”. But it was just this that was leading her deeper and deeper into a position that was vulnerable. She ignored her day job. The Scottish economy performed worse than the other parts of the UK. Ordinary Scots could see that health, education and the police were not performing well and they began to realise it was because the SNP were so obsessed about independence they had no more time nor energy to devote to the day to day issues that were their responsibility and which affect all of our lives. The SNP have had a slogan of “independence in Europe” since the 1980s. It is a very clever slogan, not least because it involves a contradiction and so embraces opposites. If only Scotland and the other parts of the former UK were to remain in the EU then it was perfectly possible to argue that soon enough we might barely notice the difference. After all, If I travel between Austria and Germany, I hardly even notice the border. They have the same language, the same money. It really doesn't matter that one is ruled from Berlin and the other from Vienna. They may as well be Großdeutschland and yet each has "independence", the flag of a sovereign nation state and a seat at the United Nations. Those three things are enough for many Scottish nationalists even if we ended being a federal state in an ever closer European Union. The EU is the condition for the possibility of sub-nation nationalism. It guarantees that life would go on more or less the same, because any citizen of the EU has the same rights whether he lives in Poland or Spain, Scotland or England. This is why Brexit is a game changer. It takes away the guarantee. This is why support for independence has fallen and why the SNP lost so many seats. Now a vote for Scottish independence would have radical consequences. Britain's leaving the EU has changed the fundamentals of the independence argument. If Scotland were in the EU’s single Market while the former UK was not, there would be trade barriers between England and Scotland. If Scotland were in Schengen (a condition for EU membership) while the former UK were not, there might have to be a hard border between England and Scotland. Sturgeon’s continual talk of independence started to make this look like a chasm. The SNP have had to tie themselves in knots coming up with ever more odd ways to square the circle that it makes no sense to be in a different trading bloc (the EU) to your greatest trading partner (the former UK). But it can't be done. It is this above all that has made Scots think twice about going down this path. It just doesn't look that attractive anymore. Pro UK Remainers like Ruth Davidson have to be careful then that she doesn’t give Sturgeon a lifeline. 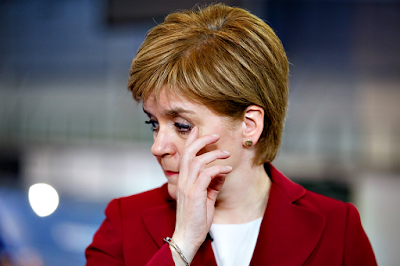 The SNP have suffered a strategic defeat that has long term implications. Strugeon’s ultra-remain strategy has been defeated. But the SNP are still strong opponents. They may be in a hole, but they can still be pulled out if Ruth Davidson puts her back into it. If we soften Brexit enough, or even make it not happen at all, then we will be back where we started and the UK will be just as much at risk as in 2015. Always do what your opponent least wants. Nicola Sturgeon least wants us to completely leave the EU. She least wants a clean break. If the UK were to remain a part of the EU’s Single Market, then Scottish independence would once more be on the table. In those circumstances independence would not involve such a great leap into the unknown. Leaving the EU completely will involve repatriating powers from the EU. Some of these will go to Scotland. Leaving will also involve making trade deals with the EU and also with other countries in the world. These powers and trade deals will lock Scotland into the UK, for Scottish independence would then involve giving them up. We can begin to tell a positive story about a UK unconstrained by the EU’s bureaucracy and with a Parliament free to act as it sees fit. Brussels will no longer be able to tell us what to do. We will be able to control who can come to our country and more importantly we will be able to deport anyone who we decide is a threat. Our Supreme Court will really be supreme rather than subordinate. It will be like the highest court in the United States. We can create a low tax, low regulation, free trade island off the coast of the Continent. This will bring us prosperity. It is time for Conservatives to talk up the possibilities of Brexit and how it can bring us the wealth that we then will be able to share with everyone. We can create a country with opportunity, fairness and social care. But unlike Labour we can ground this society in economic reality rather than a doomed attempt to continually spend more than we earn. 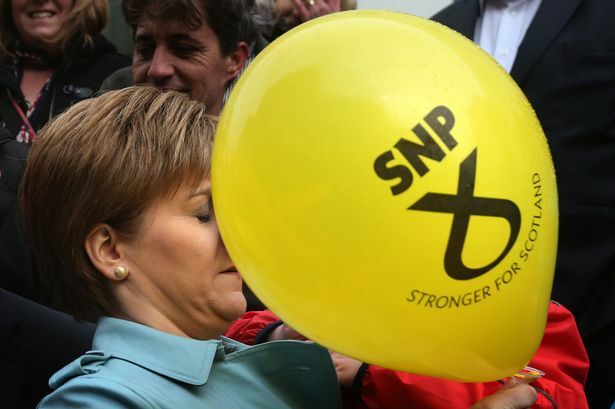 It is not accidental that support for the SNP is falling. At some point in the last year ordinary Scots quietly turned away from supporting independence. This was not in spite of Brexit, but because of it. This meant that more and more people on the Left in Scotland could see that their best chance for left-wing politics was not to vote for the SNP, but rather to vote for a UK Labour Government. Other Scots could see that decades of declaring the Tories to be toxic was the foundation for SNP support and indeed support for independence. The solution was to vote for the party the SNP liked least, the Conservatives. The SNP are now in a pincer movement attacked from Left and Right. It is crucial that we each campaign for our own parties. Only in this way do we leave the SNP out of the conversation. But above all else it is crucial that Scots of all political persuasions realise that long term defeat of the SNP depends on us completely leaving the EU. Any sort of halfway house just helps Scottish nationalism. For the moment the SNP are stuck. They can neither go forward nor can they go back. Sturgeon’s threats are empty and they can be ignored. There will be no indyref2 any time soon and if we continue to fight strategically there never will be. Sturgeon thought that with one more push she would have her breakthrough and be into open country. She could see freedom just across the river. But it was wider than she thought and now winter will bring with it the frostbite of her hopes. Rave Nicola, rave about your final victory. Rage, rage against the dying of your might. Tell your surrounded troops not to surrender. Tell them to repeat after you that they can still win. They can still hear you on their radios. They may still believe you even as you begin to feel the first moments of doubt yourself. But soon there will be just a small band of true believers and a trapped leader still giving orders to a regiment that some time ago disappeared somewhere into the snow. I’m a Conservative, but above all else I’m a Unionist. Party politics is a matter of ups and downs. Our country is a different matter. I would gladly accept any defeat for the Conservatives if it made our country safer. It looks as if the Conservatives are going to lose their overall majority. But the result in Scotland is beyond all expectations. I’ll take that. I’ve hardly talked about the SNP during the campaign. This was quite deliberate. Scotland’s place in the UK would only really be secure when we brought ordinary politics back to Scotland. Scottish Conservatives should be battling against Labour and the Lib Dems and vice versa. We should be talking of the issues that affect day to day life, not whether we want to break up our country. Perhaps we are now going to be able to do that. The SNP have lost their leader in Westminster (Angus Robertson). 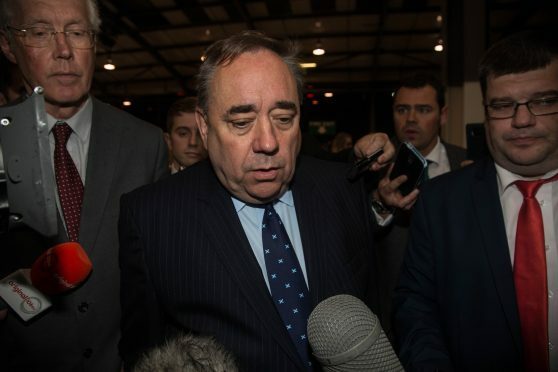 They have lost the former leader of their party (Alex Salmond). Big chunks of Scotland have turned blue. Scottish independence looks much less likely than it did a year ago. It looks much less likely than it did yesterday. I remember last summer how Nicola Sturgeon made threats after the EU referendum. Independence must have seemed so close to her that she could almost taste it. But in fact the moment had already passed. I had been arguing for some time that Brexit would make the SNP’s task harder. I think it has turned out to be the game changer. The UK is still going to leave the EU. All the attempts to stop it have failed. But the fundamental position is this. It makes no sense for Scotland to be in a different trading bloc to the UK. If the UK as a whole leaves, then Scotland must leave too. Moreover leaving the EU is going to be disruptive enough. No-one in Scotland apart from the fanatics wants to add further disruption. Sturgeon gained the adulation of her own party and was treated like a mini goddess. She gained the cheers and the tears of the faithful who wanted merely to touch the hem of her dress in order to be healed. But it went to her head. She confused the rapture she met from the devoted with support in the country at large. She promised more than she could deliver, she threatened more than was in her power. When she threatened she thought she was damaging the Pro UK cause, but in fact each threat amounted to her digging a hole that became eventually deep enough to bury her hopes. SNP support is now on the slide. We can expect this to continue. The next time there is an election in Scotland it will be a red/blue battle. The Conservatives and Labour are going to gain in strength over the next few years. It is hard to imagine that the SNP will gain another overall majority at Holyrood anytime soon. There is a tipping point in Scottish politics. Those Scottish nationalists who supported the SNP because they despaired of Labour winning a majority in the UK as a whole will begin to realise that their best chance of getting “socialism” is to vote Labour. The “socialism in one country” (Scotland) strategy depends on it being credible that the SNP will win independence. Once it becomes clear that voting for the SNP won’t bring independence, then it becomes obvious that Scottish voters hoping for left-wing politics must look elsewhere. It may well be that we have passed this tipping point. It will take a while for the nationalists to accept this. They may flail around for a while. But I would expect Scotland now to revert to normal politics. Do you want the Left the Right or the Centre? At that point we will be safe. Nationally the election is obviously a disappointment for the Conservatives and Theresa May in particular. What can be learned from this? The public don’t like unnecessary elections. They punish those who call them. They don’t like politicians who change their mind. Theresa May kept telling us that she wasn’t going to call an election and then she did. The electorate like politicians who believe in something. Jeremy Corbyn has convictions. Theresa May, on the other hand, sat on the fence during the EU referendum. She campaign for Remain, but without enthusiasm and then seemed to out Brexit the greatest of Brexiteers. Like David Cameron before her she tried to move her party to the centre ground. She put forward policies, like the energy cap, that seemed more Labour than Conservative. It’s not at all obvious to me what she really believes. The Conservatives need to spend a period of time working out what our party stands for. I think we should be the party of free-markets, low taxation and small government. We should be the party of opportunity and free trade, friendly to business and wealth creation. We should be the party that believes that British law and the British Parliament is the highest authority to which we can appeal. We should be aiming to create business friendly country that puts EU regulations on the bonfire in order to create conditions that help our prosperity and which create jobs. We must be the party that does what the public wants with regard to security and immigration. The party that does what it takes to stop terrorism, whatever that may be. At no point in the campaign did Theresa May really put forward that vision. She did not communicate to the electorate. In this she did worse than Jeremy Corbyn. What now? It’s early morning. Not all the results are in. Here is what I think. It should be possible for the Conservatives to form a government with the Ulster Unionists. We are very lucky indeed that the nightmare scenario of Labour propped up by the SNP doesn’t look to be possible. There are worse things in life from a Pro UK perspective than having a government that depends on Ulster Unionist votes. At the very least we can be sure that they will do nothing to undermine the Union. 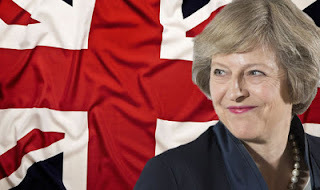 Theresa May should continue as Prime Minister at least until the Brexit process is finished. She should get rid of her advisors Fiona Hill and Nick Timothy. She has been far too reliant on them and their advice has turned out to be flawed. May has been very good on Brexit. Her strategy of No deal is better than a bad deal is spot on. It is the best way to get a good deal. But she must make govern with her cabinet rather than with her chosen few. She must talk to her colleagues rather than keep everyone guessing what she is going to do. This is far from an ideal result for Conservatives in the UK, but it could have been worse. From a Pro UK perspective it could hardly have been better. Congratulations to Labour and the Lib Dems in Scotland. I have campaigned against you, but I am pleased that you have added to the number of Pro UK MPs in Scotland. I campaigned for Theresa May because I thought she was the leader best able to stand up to Nicola Sturgeon. Now, given the result, it looks as if we will not need a Prime Minister to say “No” or “Not Yet”. Sturgeon must herself know that Scotland doesn’t want indyref2 and that she would lose such a vote. Ruth Davidson deserves enormous credit. It might just be time for her to find a Westminster seat. In some respects I am delighted that a Far Left Labour leader has done so well. Now no-one will be able to claim that the Far Left cannot win a UK General Election. One more push by Corbyn or perhaps an equally or still more Far Left leader and Labour just might reach the promised land of socialism. Having done so well, it is obvious that Labour’s moderate MPs were quite wrong to try to get rid of Mr Corbyn. Far from being a liability, Corbyn Abbott and McDonnell are clearly electoral assets. Labour obviously needs many more MPs and shadow cabinet ministers just like them. Now that the Far Left has triumphed it is time to put New Labour, social democracy and Tony Blair in the dustbin of history. Labour should continue on its leftward path. That clearly now is the route to victory. A few months ago in Scotland the SNP must have been confident. They must have thought that they would win nearly as many seats as last time. I remember too how Scottish nationalists kept informing me how independence was inevitable. This election was unnecessary. It has seriously damaged Theresa May. But if it makes our country safer it is a price well worth paying. Nothing matter more than the unity of the UK. The next few days and months are uncertain. What effect will this election have on the Brexit negotiations? Will we have a government that lasts or will there be still another election in a few months or years? Let us hope for five years without another election. But Scotland’s position in the UK is safer than it was yesterday. We have campaigned from differing perspectives, but I would like to congratulate my fellow Pro UK Scots. We may have disagreed and disagreed also on tactics, but we have all done massively better than expected. Breathe a little easier. For the moment at least we are safe. Support for the SNP and for independence is falling. I think they just lost their last best hope. Their goal is receding and it is as if they are chasing a setting sun. Run faster my dear Nats and you might just catch it. How long must they wait? Will Alex Salmond see an independent Scotland? Will Sturgeon? “It may be for years, and it may be forever”. It must be tough to take. I wake up once more to find that there has been a terrorist attack in Britain. It’s the second in a few days. Is it the third or the fourth this year? How many such attacks have taken place in Europe in the past two or three years? I’ve lost count. Events are unfolding. Perhaps I should say nothing. But now is not the time for silence. Now is the time for some clear thinking. This is not acceptable. The timing of these attacks is not accidental. They are an attack on our democracy. I have no idea what is going to happen next with our election, but I know what should happen. We should keep on campaigning and we should hold it on June the 8th. We must not accept these attacks as an inevitable part of modern life that we just have to get used to. We must do whatever it takes to stop them. Do not try to justify terrorism. The people who hate us do not need any more justification than that they hate us. It is vital that we start calling a thing what it is. It’s no good calling the same action terrorism if it happens in London or Manchester, but the actions of “militants” if it happens elsewhere in the world. The people who hate us have the same ideology whether the attack is in Syria, Iraq, Israel or France. Don’t side with people who hate us. The battle is the same battle everywhere. The terrorist who blows himself up in Jerusalem agrees with the terrorist who blows himself up in Manchester. The cause is the same. If you agree with either you are part of the same problem. We must invest more money in our armed forces and in our security services. The threat to the West is at least as great as the one we faced in the 1940s and during the Cold War. It is a different kind of threat, of course, but it must be treated just as seriously. It may require a combined and concerted effort by all countries which are threatened in order to defeat an ideology that wants to destroy our way of life. In the 1940s our fight was against Nazism, during the Cold War our fight was against communism. Our fight was not against the populations living under these ideologies, but against those who believed in them. We must make the same distinction today. Ordinary Germans were victims of Nazism. More ordinary Muslims have been killed by radical Islam than anyone else in the world. We share the same cause then and the same enemy. We must never support any form of terrorism. I don’t care what your cause is. I don’t care how just you think it is. If you blow yourself up or commit other acts of terrorism I oppose both you and your cause. Terrorism breeds terrorism and it’s getting worse. While in the 1970s terrorists would hijack planes, now they seek to blow them up mid-air. Where once terrorist groups took hostages, now they cut their heads off on YouTube. There is an escalation of depravity. If we don’t stop this soon, who knows to what levels these people will stoop? At the moment the terrorists kill tens or hundreds and sometimes even thousands as was the case on 9/11. But in time they will want to kill still more than this. What if they used chemical or biological weapons? Could we stop such an attack? Can we stop one indefinitely if we keep on as we are? The nature of our response must change. We cannot keep going through the same old sequence of lighting up buildings with a flag, making up sympathetic hash tags on Twitter. People who normally never pray are too quick to offer meaningless prayers for Manchester, London, Paris, Nice, Berlin or wherever next. We need no more shrines with cuddly toys, nor do we need pop concerts. Above all else we need no more virtue signally where everyone falls over themselves to demonstrate how caring and liberal they are. If we keep on responding in this way the problem will just continue and get worse. We need to act. Above all this needs clear, logical thinking that is not clouded by the modern obsession of not telling the truth. Someone shouts “Allahu Akbar” and blows himself up and then everyone tells us that this has nothing whatsoever to do with Islam. Sorry folks, this is self-evidently false. The terrorist may have a distorted view of Islam, he may be a perversion of Islam, but he thinks that he is acting in the name of Islam. Until and unless we tell the truth about a problem we have no means of solving it. Ordinary Muslims however, do not follow this radical form of Islam. We must make a clear distinction. Ordinary Muslims who live peaceful lives going about their business causing no problems to anyone share a religion with the fanatics, but they don’t share an ideology. Germans who hated Nazism and Russians who hated Communism shared a nationality with the fanatics, but they didn’t share an ideology. They were as likely as not to be the victims of that ideology as anyone else. 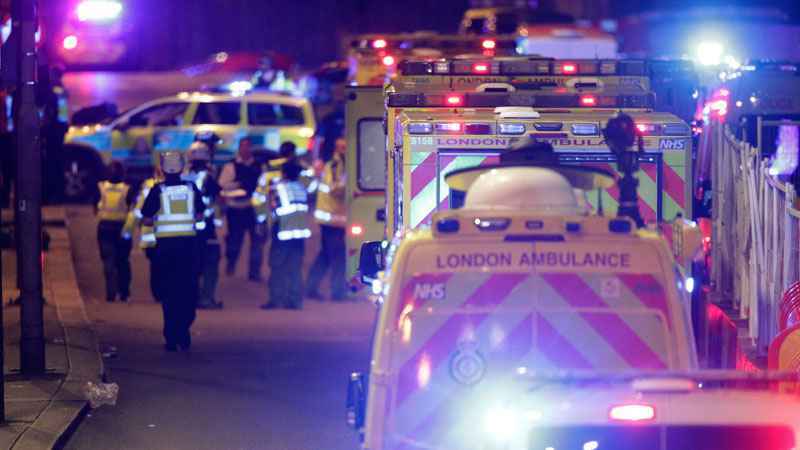 I strongly suspect that Muslims in the UK have been responsible for thwarting more terrorist attacks in the past few years than everyone else put together. This makes them a crucial part of the solution. Islamic fanaticism is an attack on ordinary Muslims just as much as it is an attack on every other British citizen. We must find ways of identifying the fanatics and distinguishing them from everyone else. The fight is against fanaticism. It isn’t a fight against religion and it isn’t against religious people. Moderate Muslims are no more likely to be terrorists than any other person. So let us invest in ways to identify those who hate us. When we have identified them let us do what is necessary to stop them making attacks. We want to live in a free society where everyone is equal before the law and where we have rights. But there is a balance. I have a right to life. But it might be taken away if someone else is given the right to return to Britain after fighting for ISIS in Syria. Why should my right to life be compromised by his right to return because he has a British passport? We must make following Islamic fanaticism a crime that puts a person in prison for as long as he remains one. Islamic fanaticism must exclude a person from ordinary British life whether that fanatic at present lives here or elsewhere. We believe that we have a duty to help unfortunate people in the world. But their right to asylum should be balanced with our right to live in safety. We should let no-one come to our country who is a threat to our safety and our way of life. We must therefore investigate each person who comes from a country where there is a prevalence of terrorist activity and attempt to determine if they are a risk or not. By all means let everyone come who can show that they are not a threat. But if they cannot, it would be far better to help them where they are than to potentially import someone who hates us. It is necessary for the Government to introduce fair visa and asylum policies that put British security at the heart of the process. We must balance our right to live peacefully with someone else’s right to asylum and their right to travel here. It is time to think clearly and to act. The problem is Islamic fanaticism, not Islam in general. We must make a clear distinction between the one and the other. In this way we can make our country safer for all its inhabitants. In this way we can eventually wake up without having to worry about such headlines.